(by Dr. Paul S. Auerbach, The Wall Street Journal) – Football is entertaining to watch, but it’s a violent collision sport that causes the majority of traumatic brain injuries in athletes. During a high-school season, one study finds, nearly 1 in 5 players on any given team will suffer a concussion. Many will suffer more than one. The football establishment needs to address this issue emphatically—and it can do so without changing the essence of the game that millions of Americans love. Concussions occur when the brain moves suddenly and forcefully within the skull, back and forth or rotationally, like a lump of Jell-O in a box. The brain may require weeks to recover; what effects ultimately linger, doctors cannot fully predict. They diminish brain function, including cognition, memory, attention span, learning ability, emotional and behavioral stability and other features of “executive function.” A repeat concussion that occurs before the first one has healed can cause second-impact syndrome, which is far more severe. Beyond the acute suffering, football concussions lead to permanent neurological impairments, such as chronic traumatic encephalopathy, whose symptoms can include depression, aggression and dementia. The cascade begins with the first injury, which might occur in a youth football league. Each year on the field, the risks are compounded—with concussions, prevention is everything, because there is no treatment except to hope that there is no permanent impairment. I’ve served on the sidelines as a team physician at high-school, college and professional football games, so I know the sport well and its potential to cause harm. As an emergency physician, I have diagnosed and treated too many concussions, and worse traumatic brain injuries, suffered while playing football. After all this experience, I’m convinced that adding one new rule would go a long way toward ending the scourge of football head injuries. That change would be to eliminate opposing “down linemen” from the game. Down lineman are the large, heavy and strong players positioned at the line of scrimmage, usually in a crouching stance with one or both hands touching the turf. On the offense, they block opposing players, protecting or clearing a path for the quarterback and running backs. On the defense, they try to tackle the ball carrier. When the ball is snapped, these opposing linemen collide head to head like rams in a territorial dispute. Their brains decelerate quickly—play after play after play. 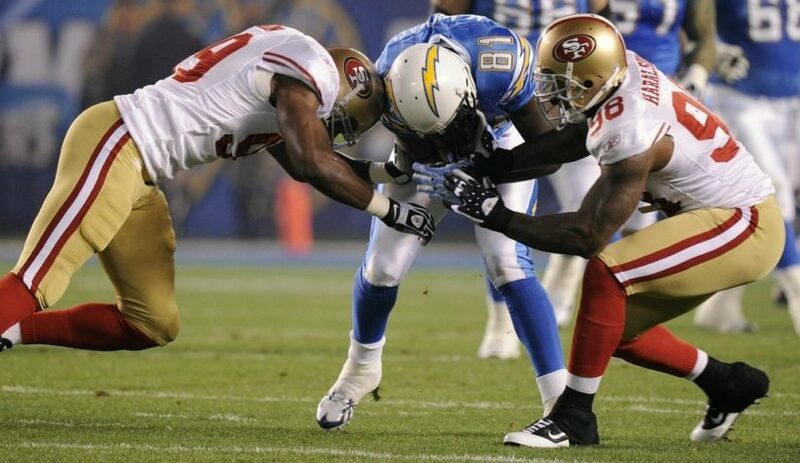 The players wear helmets, but there is virtually no evidence that they prevent concussions. A helmet cushions the head but does not sufficiently prevent the brain from dangerously sliding and rotating within the skull. Down linemen are believed to incur frequent “subconcussive” hits—concussions that are asymptomatic or nearly so. Thousands of these over the course of a career may cumulatively cause permanent and devastating brain damage. While the NFL and other football leagues have taken steps to address the most dramatic collisions, which produce the visible, severe acute injuries, they have largely neglected the nonobvious repetitive injuries that pose the greatest danger of chronic traumatic encephalopathy. I am not aware of any doctor, coach, parent or player who argues against players’ safety. But if everyone knows what is happening to the brains of these players, why is it taking so long to make the rules changes necessary to protect them? The answer is that football is a massive ecosystem of socioeconomic forces. Colleges, coaches, owners, municipalities, advertisers and television networks pay and are paid large sums to maintain a culture of football. Players are influenced by personal goals, peer pressure, family preferences and the media. They imagine scholarships and professional contracts and glory, which are elusive for all but a very small percentage. Coaches want to win, and some get paid to do it. Companies selling equipment that is ineffective at preventing concussions—helmets, mouth guards, face masks—tout their products’ effectiveness. It wouldn’t—but making football safer might make it better. Eliminating opposing down linemen would only push the game in the direction it already is evolving, toward more passing and less running. If opposing linemen simply started each play upright, in a knees-bent “ready” position, with their hands in front of them, it would nearly guarantee that their hands and arms, rather than their heads, would be the first body parts in contact. Even then, football would still have concussion risks: strikes to the helmet with hands or forearms, tackling maneuvers, falls to the turf, and errant blows. All of these occur most often during contact practice, because players spend more time in practice than in games. To further lessen the number of concussions while preserving the spectator value, the rules could be rewritten to discourage as many unnecessary brain decelerations as possible. There have been some attempts to accomplish this—penalties for targeting, limiting the amount of contact during practice, and removing kickoffs and abusive tackling drills in youth football. If the governing bodies that control the sport need evidence to make rule changes, my suggestion is that they could be easily tested at different levels—youth, high school, college and professional—and then outcomes compared. There should be no tackling in youth (pre-junior high school) football. In high school and beyond, there should be no live tackling during scrimmage in practice. Instead tackling instruction and drills could be used to teach proper techniques. Targeting—intentionally and forcefully striking the helmet of an opposing player during a game—should be cause for ejection from the current and the following game. These would help, but eliminating opposing down linemen is the most important reform. It would diminish the head-to-head collisions that cause brain degeneration without acute symptoms. To completely evaluate the effect would likely require advanced diagnostic techniques, such as functional magnetic resonance imaging, and long-term follow-up studies on chronic brain disorders. We have the technology to do this, and we should use it. It would be impossible to eliminate all injuries in a sport that involves tackling players to the ground. But much more could be done to prevent concussions, beginning with the elimination of opposing down linemen—or at the very least studying the idea. To do neither is to ignore a proposal for safety, to reject the pursuit of knowledge, and to continue subjecting players to needless harm. The football establishment should do something before the game ruins the brains and futures of another generation of players. Dr. Auerbach is a professor of emergency medicine at Stanford. Published Jan. 19, 2018 at The Wall Street Journal. Reprinted here Jan. 18, 2017 for educational purposes only. Visit the website at wsj .com. 1. The purpose of an editorial/commentary is to explain, persuade, warn, criticize, entertain, praise or answer. What do you think is the purpose of Dr. Auerbach’s editorial? Explain your answer. 3. Describe the problem Dr. Auerbach details. 4. What solution does Dr. Auerbach recommend? 5. What are Dr. Auerbach’s qualifications? 6. Do you think the change recommended by Dr. Auerbach should be implemented? Explain your answer.